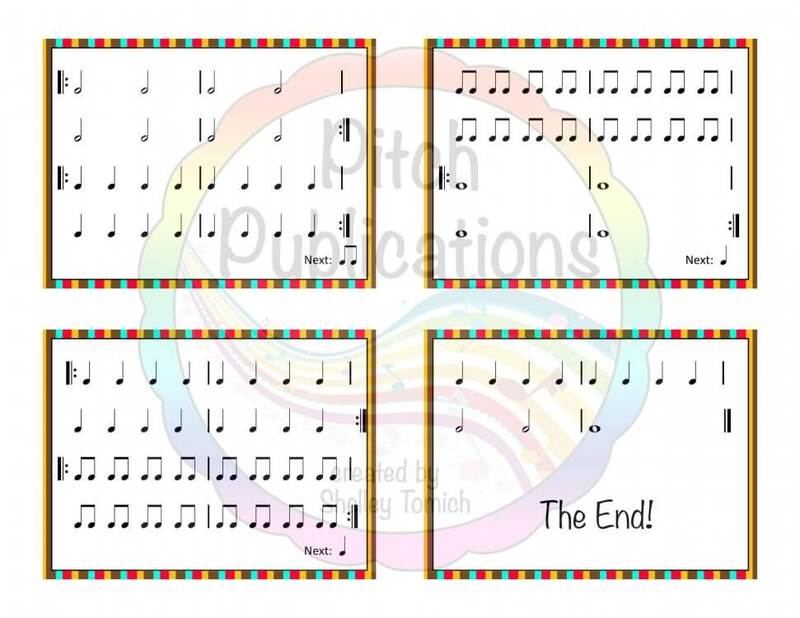 Bounce to the Beat with 4 of your favorite songs! 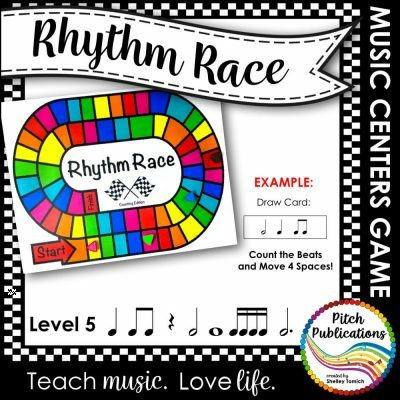 Looking for a differentiated and exciting way to practice reading rhythms? 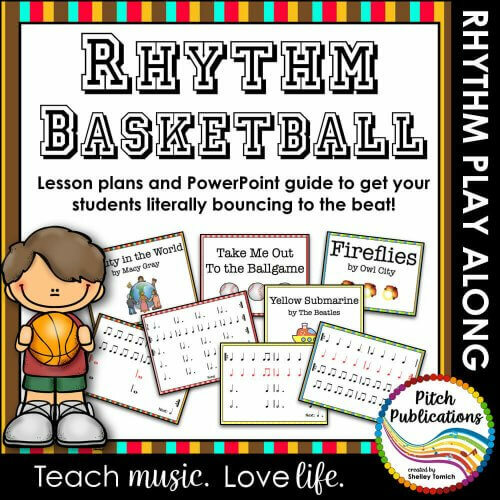 Use Rhythm Basketball to bounce to the beat! 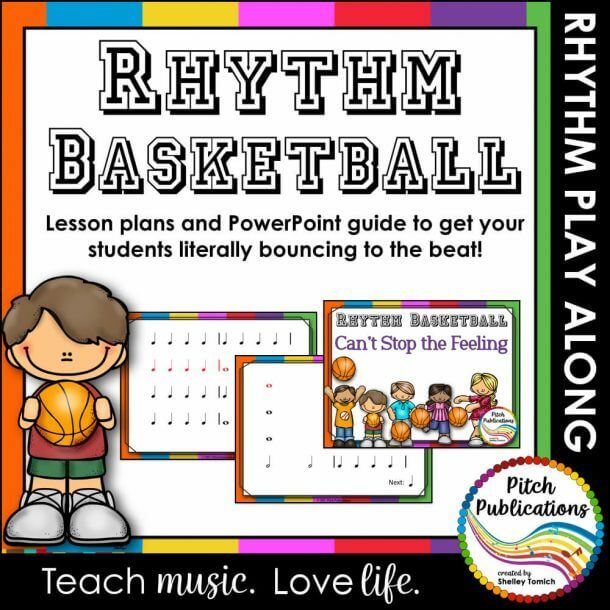 Obtain enough basketballs, tennis balls, non-pitched instruments, or other bouncing balls and use the provided slides to perform rhythms with some of your favorite songs! 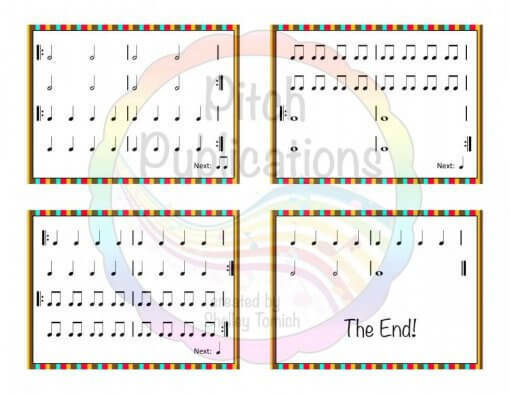 I use these fun pop play alongs to reinforce reading half note, whole note, quarter note, and eighth note notation. In addition, we are able to discuss use of measure, double bar line, and more! 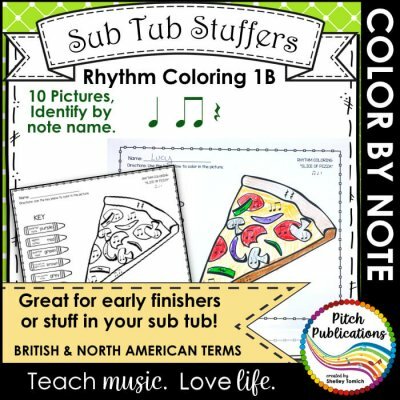 This is a great way to get your kids reading rhythm! See examples of students performing here! 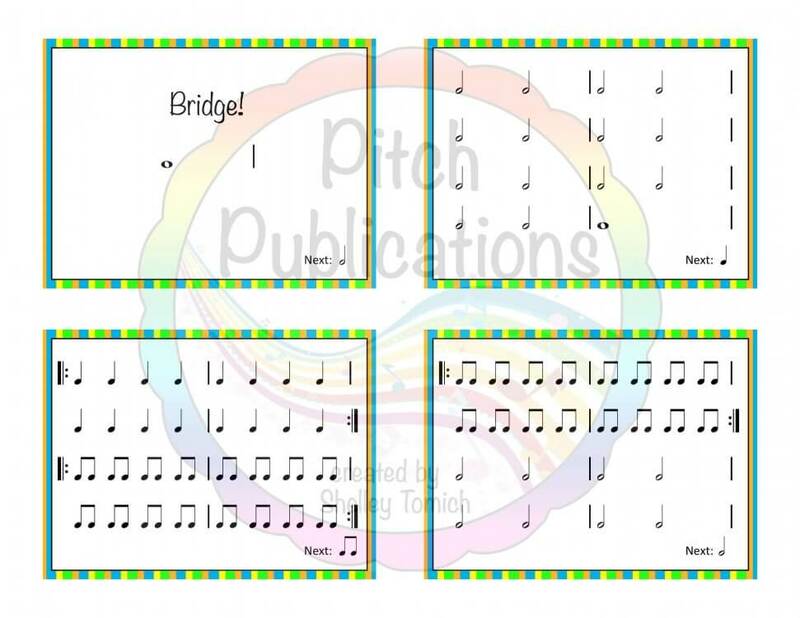 In addition, you will receive detailed lesson plans for 4th and 5th grade using Georgia GPS standards, National Music Standards, and National Core Arts standards that are ready to print and use, and yet still editable for your individual teaching needs. 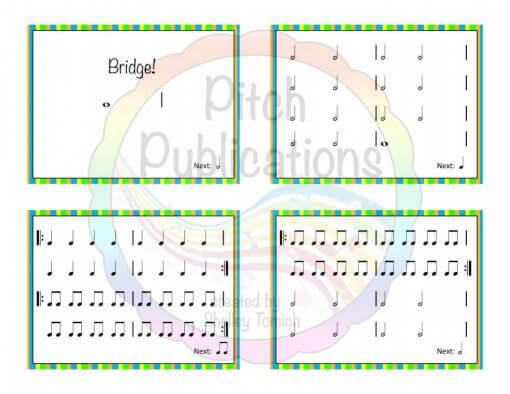 You will also receive rehearsal versions of each PowerPoint presentation that do not self-advance so that you may rehearse the rhythm patterns with students before performing. NOTE: You will NOT receive the audio files (this would be illegal! ), but I have directed you on where to purchase the files on iTunes and how to attach them to PowerPoint. See a screencast here on how to attach audio files to PowerPoint. The page count does not include the doubling of PowerPoint files for rehearsal or lesson plans for other grade levels. So basically you get double! Does this produce include mp3 audio files? Due to copyright restrictions, this does NOT include MP3s to songs. Links to purchase them on itunes & the Amazon music store are included. 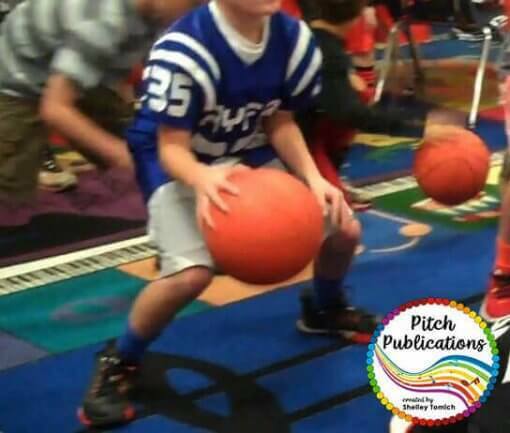 My PowerPoints aren’t timed correctly! What do I do? Alternatively, contact me at [email protected] – please include a screenshot of your music purchase and I will send you pre-timed MP4 videos.